All of our software is developed in house. Our 3D packaging customizer allows any company to source any type of branded packaging online. This is a process that usually takes months. We work with over 400 manufactures in the US (and 12+ abroad). Orders are dispatched to the most optimal manufacturer, depending on their capabilities, bandwidth, pricing and turnaround time. We collect data on every manufacturer, and are able to bring more liquidity to the traditionally relationship-based package manufacturing market. Group conversations are a daily struggle for 400 million people suffering from disabling hearing loss, which excludes them from many professional and social interactions. Ava is the easiest way for them to be included in the conversation. Like a Siri for group conversations, the mobile app empowers individuals to see who says what around them, in less than a second. Our system swiftly pairs smartphones in a room, and processes the conversation to show you a real time, color-coded transcript of the discussion. At business meetings, family dinners, social gatherings, you launch the app, and Ava does the rest. Looking for these kind of students. Project #1: Coordinate Ava Accessibility for the Deaf-blind. Mission: Ava is accessible to deaf/hard-of-hearing people. A segment of this population is actually Deafblind. We want to help Deafblind people having equal access to information. Mission: Ava is working in the US, but millions of deaf & hard-of-hearing people could benefit from using Ava, provided a few steps are in place. Help Ava become a global movement. Mission: Ava's end mission is total accessibility. This is a bold vision, and there's a lot of pieces involved. Your mission will be to coordinate and strategize the foundation of a new kind of social movement, tech-powered to lead more people to be aware of what Ava stands for. For too long, small and medium-sized business owners, have received hand-me-down products from banks that are difficult to use, expensive, or don't quite meet their needs. Bento's mission is to change this status quo for these vital entities and save businesses time and money by building financial products with their specific needs in mind. Bento for Business simplifies company spending by providing employee corporate cards, real-time spending overview, automated expense reporting with receipt capture, and many more tools in one easy to use solution. Bento is the easiest way to plug cash leaks in a business and save hours of administrative time doing paperwork. We are a 15-person company that’s raised $9.5 Million, is growing rapidly, and will provide students a great glimpse into the inner-workings of an early stage startup. You’ll get to interact with everyone on the team from customer support to engineering to marketing to the senior leadership and learn what it takes to create products that address real customer needs. We’re looking for students who are eager to contribute to our growing company and are serious about gaining meaningful startup experience. We have identified projects for various areas of the company, but are eager about finding the best fit with students who we think will get the most out of their experience and will help us in this crucial stage of our development. Here’s an opportunity to combine your analytical side with your creative side to help improve our customer experience. This data-driven project will have you looking at info about customers and their behavior from sign-up to happy customer. Identify gaps where the product and support processes are creating friction for getting customers up and running and create new, engaging support content to help better educate our customers through tutorial videos, static web content, etc. Create a new product feature end-to-end from our product roadmap, including gathering requirements from internal stakeholders, soliciting customer feedback, etc. Efforts will include prototyping, wireframing, creating stories with the engineering & product team, testing, documenting the feature for support, creating customer communications about the new feature, and measuring the success/utilization of the feature after it goes live. You’ll get the full experience of what it takes to deliver something that customers will use. Bouxtie Inc. is a FinTech Solutions Company for the Digital Prepaid Industry. Our current focus is building the world's largest digital gift card catalog. We have a B2C Platform, Bouxtie (www.bouxtie.com) and a B2B/B2E Platform, FlexAwards (www.flexawards.com). We have had recent press in Forbes, Entrepreneur, Huffington Post, and was named Top 50 Startup at StartUp Grind 2017. We also have been featured at Money2020 and ShopTalk. We have developed an air quality monitor that is able to detect the key components of air quality, ranging from CO to PM 2.5 to a range of VOCs. This system can then be used to either simply inform the end user about the air quality in the area around the sensor, or be used to actively control ventilation or purification systems on a demand-controlled basis. This is especially important given the state of air in countries such as China, and India, but also in commercial buildings even in "clean" countries such as the USA. Looking for students in Engineering/Programming: We need any and all of the following: Chemists/Chemical Engineers, Mechanical engineers, embedded system programmers, application developers, networking engineers (Wifi/Bluetooth), and others as well. Marketing/Sales: Customer development and development. Our company is currently looking at adding on CO2, bluetooth and PM 1 capabilities onto our board. This will require a combination of embedded systems work to program the microcontroller, testing to ensure that the CO2 and PM sensors work appropriately when put on our systems, changes to our board's casing and other similar and related tasks. We are also looking to finalize the mass production of our device by the end of fall of this coming year. As such, we will need to aggressively begin looking for pilot projects and testing runs, and a prospective sales/BD person would be great to add to our team as well. We have previously had other members of this program at our company before, and we hope to have one or more of you here with us as well! We help brands (mostly in travel, but in several other verticals as well) tell better stories. We do that by helping brands search and discover user generated content (including with our computer vision feature, IRIS), curate it, manage digital rights and consent, and ultimately publish the content on their websites, social channels, ads, etc. o Post news, webinar posts, etc. o Facebook - Posts about content, webinars, brand trends report, etc. o Twitter - Posts about content, webinars, brand trends report, etc. ; Comment on other posts, share articles, etc. o Instagram - Posts about content, webinars, brand trends report, etc. • Review and moderate all user-generated content and user profiles (either pre-, post- or reactive moderation) within client Chute campaigns, UGC gallery displays, etc. Engineering and Sales Projects available closer to date. Cobalt.io is an Uber for hackers :) We help companies do security testing of their applications (web, mobile, api) by connecting them with our freelance security testers (hackers). It's fun! Sales => prospect leads and setup meetings. Negotiate and close clients. Design => Graphic design and content. HR => Source candidates, Screen and interview. Crowdbotics is a Berkeley-based technology startup combining machine learning and human computation to accelerate the process of software development. We deploy a virtual software engineering agent into customers to automatically develop code, using machine learning techniques to augment the performance of a team of virtual software engineers with a code recommendation library. Behind the scenes, a combination of machine learning techniques and algorithmically-verified software engineers work together to produce effective and reliable code at high speed. Our annual summer intern program brings together masters and PhD students in computer science and top business & marketing students from around the world to work on projects of interest. Interns work closely with our founding team in order to execute high-impact projects in marketing, sales, engineering and more together, measured by real impact on the company's sales and growth. You'll be working directly under serial entrepreneurs who have raised millions in revenue and sold millions in product. We're interested in both *business/sales/marketing* students and *computer science/engineering/machine learning* students. We'll come up with a custom-tailored joint summer project depending on your skills. See below for project ideas and focus areas for marketing students, business/sales students, and computer science students. How do we automate a technical interview over chat? Crowdbotics conducts interviews with dozens of software developers each month from developing communities to identify individuals who have the capacity and talent for effective online work. In this project, we'll build a chat agent that can intelligently maintain a conversation with a software engineering candidate, ask technical questions and ultimately predict how well someone will do in a remote software engineering role. Crowdbotics is on a mission to create software agents that can improve a codebase by selectively identifying and closing important tickets, as well as suggesting new actions and activities. Using a corpus of annotated code and discussions around code, you'll use Tensorflow and deep learning techniques to design a code prediction engine that can determine which code snippets and libraries are most applicable for which situations. 3. Business Internship: Enterprise sales pathways. Crowdbotics provides sales to a variety of small and mid-size developer organizations, but we're interested in cultivating sales relationships with larger companies. In this project you'll help us develop and sell a new product to the enterprise segment, potentially using the company's social enterprise and empowerment mission to build purchasing relationships with corporate social responsibility teams. 4. Marketing Internship: Developer stories & content & code. Crowdbotics employs teams of virtual software developers coming from some of the most difficult places in the world to work as a software engineer, including the slums of Lima, Peru, and the Gaza Strip, but we are mostly quiet about this social mission. In this project, you'll develop these stories into a compelling virtual marketing experience, with access to a team of developers to help realize your vision. Born from the hands and minds of a team of AI engineers from MIT and Stanford University, DeepLook aims at resolving one of the most pressing issue in agriculture : reconciling productivity and sustainability. By leveraging their experience in computer vision and robotics, they are taking a highly flexible approach to providing affordable autonomous robots for the farm. Their first focus is on one of the biggest expense buckets of US farmers: weeding processes. The long-term ambition is to provide an autonomous platform for both mechanical work and data collection in the field. Their current prototype can go through a field, detect and distinguish weeds from crop and automatically remove weeds, thus using neither labor (expensive) nor chemicals (non-organic, less efficient, not sustainable). While removing weeds, their robots analyze videos of the field so farmers can visualize growth state, potential diseases and insects happening in their field. Mechanical Engineer / Industrial Design intern. Business development and finance intern. The intern will be working directly with our lead mechanical engineer on the design of the second release of the robot. The work is likely to contained field tests, creative thinking about mechanical iterations and improvement to be made and mechanical design of these new features. The intern will work directly with the CEO on preparing for the next round of funding. This will include building and reviewing business plans, financial projection, customer acquisition strategy. Depending on the intern's performance, the intern could attend VC meetings during the internship. Evoke is a stealth-mode startup based in San Francisco. Our team comprises of former product managers, designers, psychologists, and engineers who are alums of some of the fastest growing startups in Silicon Valley such as Facebook, Twitter, Alibaba and prestigious consulting firms like The Parthenon Group. We are building a platform to foster meaningful connections between people with shared interests and diverse backgrounds. We are looking for students from a diverse range of backgrounds. Ideally the students should have good communication and analytical skills. However, they should also be outgoing and love interacting with people from different cultures and academic and professional backgrounds. We are not looking to place restrictions on the students that we work with based on their majors. However, business and marketing majors with internship experience in marketing, sales, and consulting would be a great fit for the kind of work that we are looking to involve them in. Interns will be responsible for defining and executing on the firm's growth strategy in their dedicated region. This includes, but may not be limited to getting new users, ideating new features for the platform, and evaluating potential partnerships. Although the interns will be working very closely with the firm's senior management, this job will require them to make several key decisions independently and take on significant responsibility. Excellent communication skills and an ability to think strategically are of paramount importance for success in this role. However, what we are really looking for, above everything else, is a belief in the power of human interactions and a passion to establish meaningful connections between people. Identifying key strategic partners, defining the scope of a partnership, and supporting the senior leaders in partnership negotiations: In order to get the right kinds of users and activities on our platform, we are going to be partnering with individuals and organizations that might find our platform useful. The idea is to get key influencers on the platform. A key influencer is basically one user who get a large number of users and activities on the platform for us. Key influencers are critical to attaining virality and growth for the platform. Interns working with Evoke would be tasked with thinking about who would be the right kinds of partners for the platform. Fruther, they would also have to think about the types of partnerships we should be having with them and finally, working with the senior management of the startup to get these key influencers on board through these partnerships. Identifying markets for potential future expansions: As a social startup, we want to scale quickly and get to a critical mass of users and activities on the platform that would enable network effects to take over and for there to be an organic viral growth of the app. Hence, the idea is to launch in the San Francisco area, but grow very quickly and move to other users and cities. Interns will help us decide which cities and markets we should prioritize. This will involve interviewing a lot of potential users and key influencers in each of these markets. Additionally, secondary research will also have to be conducted to see how competitors have expanded to other geographies. This will give interns the chance to develop research and analytical skills. Conducting primary and secondary research to determine user preferences and optimize product features: Through this startup, we are trying to build a community of users who believe in the vision and mission of what we are doing (i.e., building a community). One of the most important activities as you build a community is to understand what your users are liking and what they are not liking and the change the product features accordingly. Interns who work at Evoke over the summer would have a chance to be the face of the company and interact with our most important constituents - our users. They would have to develop interviewing skills and be able to bridge that with a business understanding to make recommendations on long term product development pipeline goals. This is a vital skill to have to work at any startup. Partnership Strategy - Perform research on market opportunities and create resulting partnerships with software industry leaders from MongoDB (NoSQL) to Oracle (Enterprise DB) to Microsoft (OS/Cloud Computing). The deliverable will include a signed partnership and executed engagement to showcase market impact. Product Leadership - Align Evolute's latest innovations with customer demands to assess, design and implement new product capabilities. The deliverable will include leading a new innovation from concept to customer impact. Platform Design and Engineering - Research, design and implement the latest cloud infrastructure and data science to create a new capability in Evolute's Datacenter Control Plane. The engineer will design and implement a new core innovation and work with Evolute technology leaders to have 25 user sign up as well as submit for patent. We are building FloydHub, an AI company located in the San Francisco Bay Area. We are in the current batch at YCombinator. Floyd is a platform-as-a-service for building Artificial Intelligence (deep learning) applications. We help data scientists by eliminating the immense engineering work required to build amazing AI. We were featured and trending on Product Hunt last week: https://www.producthunt.com/posts/floyd-2, and have been getting amazing traction. 1. Building state-of-the-art deep learning projects. This will be a great opportunity for students interested in AI research. 2. Building top-notch GPU cluster infrastructure on AWS and on-prem. This is great for students with interest in backend infrastructure and engineering. At Goalbook, we empower teachers to transform instruction so that ALL students succeed. We develop research-based products that used by teachers in more than 500 school districts across 45 states in the US. This is an entry-level opportunity to be a critical member of our product development team and join a growing values-driven startup that is improving the equity and access of our diverse school system. We were founded in 2011 raised our first and only investment round in 2012. Since then we have grown organically, from our own profits, and are now 26 FT and 50+ PT. By the time our student intern would be begin we'd anticipate to be a team between 31-34 FT people. About 90% of our team are former public school teachers (including myself) so we are a very supportive and collaborative working environment. We provide two content platforms: Goalbook Toolkit and Goalbook Pathways. Goalbook Toolkit is used primarily by special education teacher (teachers of students with disabilities) to adapt learning standards to various different levels of support for students who might struggle with traditional curriculum. Goalbook Pathways is used primarily by classroom educators to plan lessons that are able to engage a wide variety of different student skill levels and learning styles in their classrooms. School and school districts are our customers and they pay an annual subscription fee to provide teachers access to our platform and also services, training, and support. We would most prefer students who have a passion for product development and design and have software development skills, though they do not need to be an engineering or computer science major. We would also prefer students who are passionate about power of education and/or are interested in how a for profit company can also have a direct and positive social impact. We have been developing a new product which has been in "stealth" mode and we hope that we can begin to do user testing and soft launch this summer. The product would allow teachers to quickly and easily create visuals models of important math concepts (e.g. fraction tiles) that teachers can use in their own lesson plans. Right now, teachers must create these in a very time-consuming way using Word and Google Docs. This project would provide an rich opportunity for the intern to be involved in the entire end-to-end design process for multiple cycles: user empathy and interviews, prototyping and development, launch, feedback and iteration. They will get to develop and launch a real production product that will be used by tens of thousands of teachers. They would also interact with the engineerings and product designers on our team and receive coaching and mentorship from them. Our general education product (Goalbook Pathways) lacks the ability for educators to curate and share content they find on it. We will be working on this as a team this summer and we hope that our summer intern will be able to contribute to the design and development of these features. We currently track every user event in our own data pipeline using AWS infrastructure (Firehose, Redshift, Quicksight) and are in just the beginning stages of levering the data using AI and machine learning to better understand user behavior and trends as well as predictive power (e.g. content recommendations, user classification). We hope our student intern will learn and apply various ML algorithms to our data to explore what kinds of insights are possible. Founded by ex-Google employees, Groove’s mission is to empower sales teams to operate at peak performance. We provide a sales communication platform that helps collect, understand and improve your sales activities and customer interactions. Our software is used by large companies like Google as well as smaller organizations like Prezi. Groove helps these customers identify more sales opportunities, close more business and gain valuable insights into their sales process. Headquartered in the SOMA district of San Francisco, Groove has hundreds of paying customers and ample funding from the VC community. We are looking for marketing or design students. Grush is the Smart Toothbrush Platform that transforms the brushing chore into fun games for kids, provides real time guidance, lets parents and dentist track, and reward the results. A toothbrush is the ideal device to collect health data. Combined with our Realsense enabled Smart Mirror, Grush will become the smart bathroom hub collecting not only the brushing data, but also vital health data. Grush has achieved very positive traction. Grush won the inaugural title of “America's Greatest Makers” and $1,000,000 prize from the TBS reality show “America’s Greatest Makers”. We would love to work with students strong in UX/UI, especially those with some experience with the Unity game engine. Grush has deep and meaningful partnerships with INTEL and IBM. Grush is selling their product now in retail and online. Feedback from consumers is quite positive. We are working with several big channels / companies in USA, Japan, and China to push Grush to every family in the world. Big oral care companies like Philips and Oral-B are working on connected toothbrush now. However, only Grush has patented “Tooth-to-Tooth navigation technology” that enables interactive games and useful data to dentists. * We believe that banks will no longer be the way for people to get loans. Instead, Insikt believes that the future of lending will be led by brands - media companies and retailers - that have deep relationships with their customers. * We want to provide anyone with access to affordable and fairly priced loans. In the current system, only people with high incomes and FICO scores have access to fair loans. * There are millions of private investors across the country who are tired of earning 0% on their money in banks. Insikt believes these private investors would jump on the opportunity to invest in loan portfolios that can provide attractive and stable returns. Market research study on consumer finance. Jirav provides smarter financials and faster insights, helping finance teams better understand where their businesses have been and predict where they are going. The system connects data from your cloud Accounting, HR, and CRM tools and automatically builds a sophisticated, interconnected financial model that is unique to your business. This lets your teams easily analyze historical data, run multiple forecasts, and collaborate on financials across your entire company's --bookings, billing, revenue recognition, cash flow, and workforce/expense planning--to get the answers you need, fast. 1. Gain product expertise and help implement Jirav for a live customer accounts. Document product features and create training and on-boarding materials to help speed up implementation and support for these accounts. 2. Research and create leads for potential Jirav customers, run email campaigns to qualify the leads. We are an edtech startup focused on teaching girls about engineering through 3D modeling and 3D printing. We teach them how to make products they love. Backed by Intel and strategic partners like Autodesk, KiraKira is a 70% female team of artists and engineers. Teaching girls engineering & 3D printing through online art & design lesson. KiraKira believes that anyone can create and our goal is to inspire a passion for STEAM education (Science, Technology, Engineering, Arts & Mathematics) through educational video classes made by young women for young women. KiraKira is a community of young women who will be the students, leaders, makers, engineers, and architects of tomorrow. Our platform teaches the fundamentals of building high quality, real-world 3D design objects and developing them into physical products. Our mission is to arm female makers with the skills they need to pursue careers in technology and change the world for the better. We are redesigning the way girls learn engineering, through online 3D printing classes. We offer a rich and unique experience with our 3D printed packages, combining both the online 3D print class + the tangible 3D printed reward. More broadly, KiraKira is an online community of learning, making and sharing. Through our 3D modeling and printing lessons, we teach engineering commands and transferrable skills to various STEM disciplines and careers, including but not limited to architecture, mechanical and aerospace engineering, and industrial design. We are looking for a 1st or 2nd year MBA candidate to join our fast-growing team. In this role you’ll be working on a variety of complex user experience, business model, and 'other' projects. We are part of 2 accelerators this fall and we're excited to hire an intern to join our programming as part of the team. Get exposure to our investment community, product programing, and partner pitches. We are excited to learn why you think you would be a great fit for our team. There is no compensation for this internship as you will be joining a select few companies to join our accelerator program . If you MBA program accepts credits for internship projects, we are happy to accommodate and work with you. Montaag is a multidisciplinary design studio with offices in Berkeley (CA), Stavanger and Oslo. We are passionate and eclectic mix of designers and researchers driven to create insightful, functional and, perhaps, unorthodox design solutions. We are not in the business of just making things look good, but are keen to create strategy-driven solutions that add value and distinction, and ultimately, sharpen our client's competitive edge. We are looking for Designer/Strategist students. Reconsider the how modern FinTech consumers use data and translate findings into strategies that will inform future app s/w development. Frame marketing as a design exercise to better elevate and promote Montaag Design Services. Work in a close-knit, energized studio setting that values solid ideas from all team members. Montaag Products is a burgeoning development, production, marketing and sales company started to take products developed internally at Montaag and thrust them into the real world, where they will hopefully thrive in ways life-changing (for consumers) and profitable (for Montaag). We're exploring all manner of marketing channels—to include Kickstarter, product-specific websites and other media outlets—as we simultaneously consider the broader opportunities for our services (cross-brand partnerships, production assistance, marketing campaigns, etc). We begin, though, with our flagship product: the AnZa espresso machine. Made from Corian or concrete, it is the foundation (ahem) on which Montaag Products is built. We are looking for Business Strategy and Development students. This is an exciting time in the Montaag studio as we embark on creating a separate entity to give focus to the development and marketing of our own products designed in-studio. Founded in 2012, Mozio was born out of CEO David Litwak’s experiences travelling to over 60 countries and struggling to find the best local options for getting around. A technology company at heart, Mozio is focused on helping connect customers, local companies, and global travel brands to turn what can be one of the most confusing parts of any trip – getting to and from the airport - into a delightful experience. Whether by train, bus, shuttle, sedan, taxi, limo, water taxi, motorcycle or helicopter, travelers using Mozio’s technology can search for and book the right option for them. Mozio’s technology solutions enable travel brands to drive customer loyalty and effectively monetize on the “last mile” of every trip.First and foremost, we're looking for bright, motivated people who are quick to learn. NoPassword mission is substituting passwords biometric authentication by user's smartphone. The company was founded with the mission to improve cyber-security, by providing the most secure and private user authentication solution in the market. We believe that every individual and company should be able to protect their accounts and information online, securely, yet intuitively. We are here to empower them to enhance their security, protect their privacy, and improve their user experience. Nurx is a telehealth startup based in San Francisco, focusing on making making preventative medication more accessible than ever. Through our app, users can get a prescription for birth control or Truvada for PrEP (HIV prevention medication) from one of our prescribing physicians, and then have it delivered right to their door. We're changing the game in the way people access their care in the US, and over the past year, our revolutionary approach and app has been covered by over 800 media outlets. Just a few examples include: MTV, CNN, Marie Claire, Cosmopolitan, SEVENTEEN, New York Times, Good Morning America, Elle Magazine, Bust Magazine, Refinery29, Elite Daily, Huffington Post, and The Guardian. Media outreach - you will work with the head of marketing to connect with media to let them know about how we're democratizing the landscape for reproductive health care. Content - you will also assist the marketing team with writing blog posts on the company blog, writing our social media platforms, and with content marketing. Community outreach - you will work with the marketing team to identify relevant organizations to partner with. We are a team of 15 with customers including: Apple, Pixar, Snapchat, Dropbox, Uber, Yelp, Box, Buzzfeed and many, many more. Oomnitza provides a suite of solutions for IT professionals, including IT Asset Management, Contract Management and Device Management. 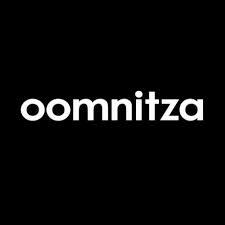 Combining mobile and cloud technology, Oomnitza help's IT teams better track, service and manage their company information and assets. We are looking for Marketing, Communications, and Business students. Outdoorsy is an RV marketplace for renters and owners to come together. Lots of folks own RVs. Lots of folks want to rent RVs. Outdoorsy is how they meet. We're the most comprehensive platform for outdoor travelers to rent stylish awesome RVs in the nation. Our selection spans vintage Airstreams, toy haulers, fifth wheelers, Class A, B, and C of RVs, as well as garden variety trailers and motor homes. For professional RV rental companies, we launched Wheelbase for inventory management, utilization rates, and the best insurance in the business. Outdoorsy.co is safe, easy, fully insured, and has a great local selection. We're free to join and have no membership fees of any kind. Discover amazing RVs to travel in - or rent out your own! We are looking for Marketing, Engineering, and Sales students. Create Assets for Paid Marketing Campaigns -- Design new campaigns, build target segments, implement via management of our paid search agency, monitor results. Business development and outreach. Research key contacts for potential partners for our SaaS product, conduct outreach, and manage accounts to ensure customer success. Monitor data architecture and deliver reporting for overall health of our marketing funnel. Recommend improvements on product and user experience to directors via reporting and data visualization. Event production -- industry leading events at a local level, working with ambassadors and growing referral-based marketing program. PalleTech was founded with the belief that supply chain information should be harnessed from the bottom up by making wooden pallets smart. With over 12bn of them worldwide, PalleTech aims to be the analytics tool of choice in significantly curbing product spoilage, loss and delays. Power consumption comes at a premium in our devices, being able to orchestrate heavy operations like rf transmission with event detection is our next big task. We're looking for a student to take up the mantle on this. Design and write high-quality C code targeted for embedded systems. Actively interact with electrical engineers during the design and support phase of PalleTech’s smart modules. Design and execute initial testing of the team’s embedded code. Assist during the product bring-up, pre-launch as well as debugging steps with other software engineers. Product School is an education company that offers Product Management courses in San Francisco, Silicon Valley, New York and Los Angeles. Our instructors are professionals with over 5 years of real-world product management experience working at renowned tech Companies like Google and LinkedIn, and other technology startups. Our students are professionals with over 3 years of experience in technology, business or design roles. All our classes are compatible with a regular work schedule and our campuses are conveniently located in each city where we operate. Pubinno is a fast-growing technology startup developing Taptronics, world's first plug&play, smart beer tap that serves the perfect beer. Taptronics provides smooth creamy foam that creates a wonderful drinking experience. It also combines IoT, robotics, data analytics and sensor fusion to increase keg efficiency up to 20%. It can serve any type of beer at the ideal temperature with the optimal amount of foam. As a new channel between bar owners and beer brands, Taptronics provides operational and quality metrics in real time. We are currently deploying Taptronics all over the world. Join us for the beer revolution! Looking for Business, marketing and sales, industrial design students. Quiki automatically creates a knowledge base from communication platforms. We improve the efficiency of team communication by tracking questions as they're being asked and surfacing relevant answers. We use a combination of NLP and search algorithms to pick up and resurface appropriate answers. Sales and Customer support teams find our platform especially valuable when onboarding new reps! Remote Inverview makes software to test programmer. Our platform measures technical skills of candidate automatically before they start the interview process. Our customers save up to 80% of screening time during recruiting. We have more than 150 paying customers and we have been featured by Forbes, Inc. Magazine etc. We are looking for B2B Marketing and Sales students. We build wellness application for universities and corporations. Our fitness app Resoltz, provides personalized video workout programs for leading organizations, we create engagement through fun competitions between dorms, class years, and departments. We provide accountability and tracking by integrating popular wearable devices. We are looking for design talent primarily and then engineering talent. Onboarding flow: a) Research and Experiment to identify key user goals that will lead us to, b) present the user with a suggested route and timeline to achieve that goal c) setup the necessary channels to remind the user to stick to their goal d) get encouraged to jump back when they fall off e) get intrinsic and extrinsic rewards when they folow the guidance. Support group: Figure out and put in place a full circle for creating, joining, communicating, reporting, motivating, rewarding a small group of friends, classmates, coworkers to stay motivated and on point. Product packaging: Come up with products landing pages that show the value of the Product combined with platform features. Close the loop on the value prop for each trainer. Lots of holes to be filled for consumer to move forward with a sale. Sentio is a consumer electronics company with proprietary technology that transforms your smartphone into a laptop. We launched our flagship Superbook on Kickstarter last year, becoming the Most Funded Hardware project at nearly $3M raised. Our team is led by alumni from Google and Y Combinator, and is backed by leading VCs including Social+Capital and 500 Startups. Our technology transforms your smartphone into a full laptop, through our universal laptop dock paired with our software - a mobile app that makes Android function as a full desktop environment. The hardware is the Superbook, our first generation universal laptop dock. We launched the Superbook in late 2016 with one of the most successful Kickstarter campaigns in history - $3M in 30 days. The software is Sentio, our mobile app that makes Android function as a true desktop. Simply download our app and connect to the Superbook to access a rich, productive, laptop experience powered by your smartphone. Our app has been downloaded by more than half a million people from the Play Store. Smartphones are just as powerful as PCs, yet massively underutilized. Sentio is unlocking the full potential of our pocket computers and powering the next billion creators, developers, and workers. SnapEDA helps hardware designers bring new products to market faster. Our parts library is used by tens of thousands of designers, from small shops to household names like Nest. SolarNexus provides business operations software to independent solar sales and installation companies (B2B). We are looking for business and marketing students. Streethacker is a video based restaurant discovery app. Our users discover new restaurants through 10 seconds video recommendations. Imagine if Yelp and Snapchat had a baby. Streethacker is a new way of unearthing the culinary treasures of a city. We launched Streethacker on iOS app store (US) last year and we are gaining traction in the San francisco Bay area. We had a great experience working with the two interns from Norwegian School of Entrepreneurship last year. Marketing Intern - The marketing intern will be working with the founders on finding new ways to acquire new users, engage with the existing users, and execute marketing campaigns. The job will also include working with restaurants, trying their food & shooting videos. Candidates with experience in marketing is preferred. iOS intern - The iOS intern will be working with our CTO. The job includes designing & building new features for Streethacker iOS app and implement customer user interfaces & user experience. Candidates should be familiar with Swift and concepts of OOPS. 1) User acquisition - The intern has to find new ways to acquire new users at a low Customer Acquisition Cost (CAC) & execute the ideas. We like crazy ideas. 2) Restaurant partnerships - Intern has to contact the restaurants, explain about the app, and strike partnerships. 3) Offline campaigns - Organize offline campaigns at restaurants and colleges to create awareness about the app. SupplyAI helps retailers bring customer oriented cognition to running their business. Our first product helps retailers prevent returns by understanding consumer and systems behavior. Data movement as a service: Telligent Data has developed tools and processes for moving data from on-premise and legacy databases to the cloud. This helps companies analyze. Engineering: our product is written primarily in Java and Python. Sales: technically-minded, extroverted sales people. Any experience with data is awesome! On-demand delivery service for enterprise customers using high-speed long-range drones. Software development projects include front-end webpage, web applications & web services development, and back-end projects such as database management, security/firewall. Marketing/sales tasks including lead generation, market research, customer relationship management.